It won’t be arriving at the same time for everyone, but it appears that PUBG Mobile update 0.12.0 has begun rolling out. Players have started sharing new shots from the Zombie Mode, Darkest Night, while also confirming issues with the patching process. Some fans who have downloaded the new 0.12.0 say they have been stuck with an error message when trying to complete the process. It’s unclear what might cause this problem but it will hopefully disappear when Tencent finishes all their plans. The dev team has not provided a full schedule for how long it might take and which regions get the download first. The good news is that we know a lot about what is included in today’s big update. A new Zombie Mode is going live, as is a number of bugfixes for Survive Till Dawn, plus new improved options for Spectator Mode. Here’s more from Tencent who confirms in a new statement: “Tencent Games and PUBG Corporation released the full version 0.12.0 content update today for PLAYERUNKNOWN’S BATTLEGROUNDS MOBILE (PUBG MOBILE). “As a key part of the update, players can dive into Darkest Night where they must stay alive until dawn, fighting off zombies. “Spectator mode updates to Survive Till Dawn gameplay and other tweaks are also part of the free update available on the App Store and Google Play. 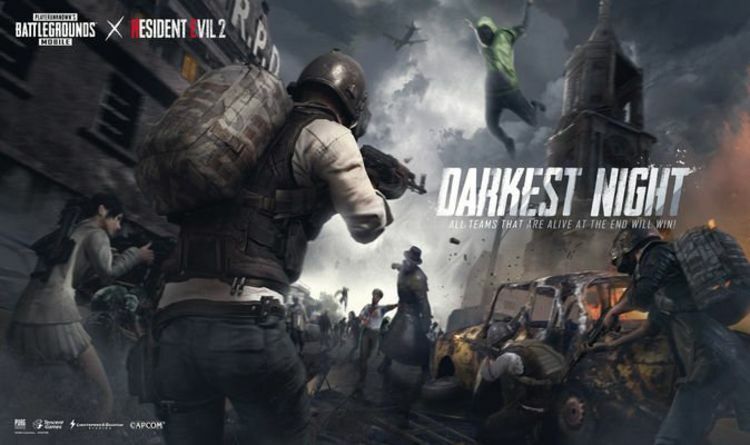 “Darkest Night is an all-new game type where players must spend one night fending off waves of zombie enemies and fight to stay alive. “Rather than parachuting in, players are placed randomly on the map to face zombie hordes during each of the three foggy nights. “There is no single chicken dinner to earn this time and players may form an alliance to help each other to survive when necessary unless the alliance decides turns on each other. “In late 2018, Tencent Games, PUBG Corporation and Capcom joined forces to bring the items of Resident Evil 2 into PUBG MOBILE through the terrifying Survive Till Dawn mode. Crosshair Modifications – Red dot, holographic, 2x scope and 3x scopes can be adjusted to different colours, along with multiple shape variations of the red dot reticle. Popularity has been added to Spaces – Players can now show their support by giving LIKEs to one another and become Partners with friends that have 400 Synergy or more. Partners will appear in each other's Spaces.